As you first start off a new business, most tasks are small by nature. This is particularly true when you only have a couple of employees. However, as your business grows and the scale of everything magnifies, each task that was once simple becomes increasingly complex. One such task that can eat up all your time is running payroll. Sure, when you were just paying yourself and one other teammate, payroll was a breeze. 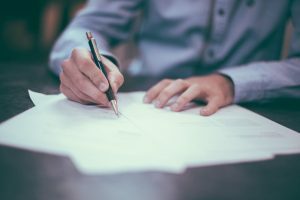 However, as you grow and your team is comprised of hourly employees, salaried employees, and part-time staff members, it can be tricky to ensure payroll is handled accurately and efficiently. This is where an improved payroll service can be the answer. Rather than handling payroll the way you always have, consider upgrading to a streamlined system, such as the one we offer through Journey Business Solutions. 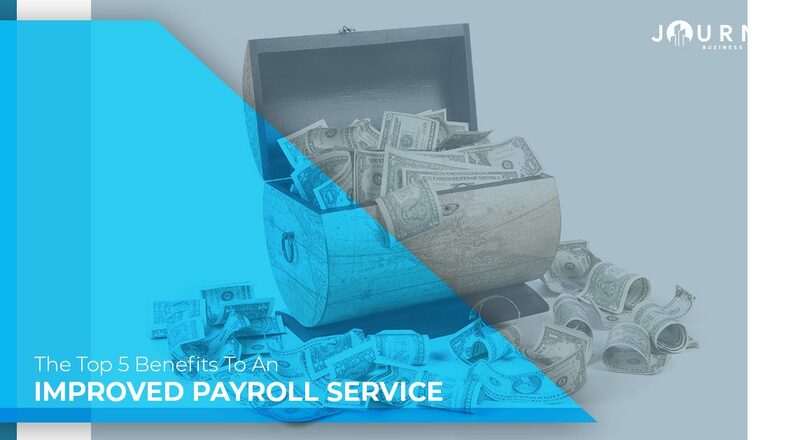 Check out the following top five benefits of switching to a new and improved payroll service. Nothing will sour your employees against you quite like being mispaid. Whether it is inaccurate time card reporting or missing a deadline and delaying your staff’s checks, inaccuracy in payroll is a morale killer. The good news is that modern payroll services make it simple to accurately calculate everyone’s paycheck. From the person who only works a few hours in your shop to your top-level management, a good payroll service will ensure accuracy in your payroll. A payroll service should be able to seamlessly integrate with time tracking, which makes calculating paychecks far easier than before. It also should automatically calculate payroll taxes and pay them on your behalf. This all leads to far more accuracy in payroll. When you hire a new staff member, how difficult is it to onboard them into your system? Are there hiccups along the way? An upgraded payroll service should make it extremely simple to add in new team members. This will not only make the process less hectic for you, but will also demonstrate efficiency in your operations to your new hire. The key to quick onboarding is an intuitive payroll service. You shouldn’t be battling the system in order to input a new employee. Gone are the days of writing out timecards and creating paper checks. Today, most employees will appreciate having access to direct deposit, being able to quickly check their paystub online, and receiving important tax paperwork through the same online portal. The good news is that modern technology makes payroll easier on everyone involved. You can quickly and easily pay your employees with little to no hassle. Do you dread doing payroll because of the stacks of paperwork that are bound to wind up on your desk? Payroll doesn’t have to be that way. Instead, by upgrading to an automatic payroll service, you can easily check up on processing without the need for physical paperwork. In an era of digital, make sure your payroll is keeping up. Finally, perhaps the greatest benefit of switching to a new payroll service is the time it frees up. As a small business owner with a myriad of tasks on your plate, more time is always appreciated. Rather than utilizing time-consuming payroll options, consider switching to a streamlined version that will make your life easier. With the extra time you will gain back, you can return your focus to other vital tasks, such as how you will grow your company, what new hires you need to make, and what profit margins you saw over the past year. Here at Journey Business Solutions, we want to see you succeed. As a small business owner, we understand that your daily life is filled with important decisions and ongoing tasks. Our goal is to help you implement better systems that make more sense for your company. From credit card processing systems to payroll services, we offer the solutions you need to create a better future for your business. Reach out today to learn more about the payroll services we offer in Fort Worth and across the state of Texas. We look forward to being your partner in business, providing you with the resources you need to succeed.